1.Make your Oil Painting realize idea matt effect through forming steady membrane without bubble and yellowing. 2.Can be mixed with glossy varnish,make different brightness to protect the surface. (2)Clean the works with wet cloth before using the matt varnish. (3)Paint it from first, then from left to right.No repeating. (4)Dry it flatwise.Keep it away from dust. 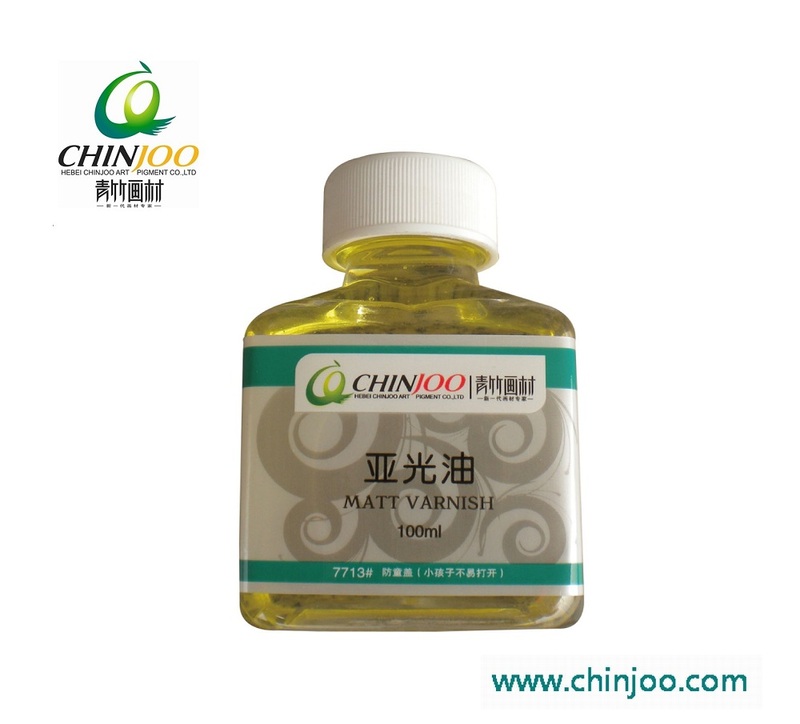 Looking for ideal Matt Varnish for Oil Color Manufacturer & supplier ? We have a wide selection at great prices to help you get creative. All the Matt Finish Oil Media are quality guaranteed. We are China Origin Factory of To Prevent Oily Color Aging. If you have any question, please feel free to contact us.